SEO and SEM are the key techniques in web marketing. Every entrepreneur or businessman wants more leads to grow the business exponentially so they use various online marketing techniques to attract customers via website or blog. In which SEO, SEM, and SMO are the most preferred techniques followed by web owners to grab more web traffic and leads to their business via the website. Nowadays, paid to advertise, Social Media Marketing is the best ways for online promotion. Besides it to maintain these activities there are numerous Search Engine Marketing and SEO tools available. In between, SEMrush is most acceptable and useful SEO tool for web owners to manage their website's online performance. SEMrush is a free and paid search engine marketing tool, helps in offering you important metrics about your competitors. It works like a spy for your website competitors introduced by the maker of SEOQuake, an admired SEO addon for Mozilla Firefox. It gives you a lot of data about any website on the internet that has been around for a specific amount of time. You will get all type of data using SEMrush like the percentage of traffic which comes from paid search versus organic search, a number of backlinks, competitors, advertising competition, top anchors, referring domains and so on. Keyword research is a very important part of SEM and SEO efforts to achieve great results. At the time of the writing, this article SEMrush has more than 800 million keywords and 130 million domains indexed in its database. SEMrush is the best tool for analyzing and stealing your competitor's website backlinks. Just clicking on the number of backlinks, SEMrush will show you the whole bunch of data about your competitor’s link profile. It means that if your competitors doing well on search engines rather than you because of having a large number of high-quality links pointing to their website as compared to your website then SEMrush helps you to extract backlinks info. 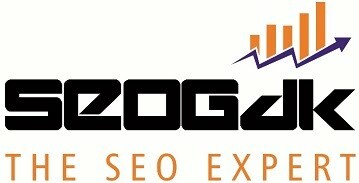 It will show you how many backlinks are pointing to your competitor's website and from how many unique domains and IPs. SEMrush also gives you an idea about significant metrics of your competitor's backlinks such as what percentage of those backlinks are dofollow links and nofollow links. Further, you can sort out the sources to build quality backlinks for your blog as well. That is how you can find your competitors backlinks. -Websites that are on .edu and .gov top-level domains have a large amount of credibility because they are very difficult to get. So if you can get the designers of those sites to link to you that gives your site more credibility as well. -Attempt to create a balance between nofollow and dofollow links. -Ensure how authoritative a referring domain is and where it is located. -Verify the number of external backlinks pointing to a domain. If it is more than 100 then stay away from creating backlinks on it. -Attempt to create unique backlinks. Nowadays, SEMrush is the best keyword research tool compared to others. Along with SEMrush, you are going to find someone else keyword that you have never thought of. Also, you will be able to see what’s working for other people that are something we always want to try to do and SEMrush let’s do that. You just need to enter your competitor's URL and in a couple of seconds, SEMrush will show you all of the keywords that your competitor ranks for. The amount of traffic they’re receiving and also the number of searches done for those keywords per month. -Keyword: Keyword by which web traffic is coming on the website. -Pos: Position of the website for particular keywords in search engines. -Volume: Amount of searches for the keywords in the last year on Google and Bing. -CPC: How much amount advertisers are paying for Paid Keywords in Google Adwords. -URL: The website displayed in the search results for the given keyword. -Traffic: The amount of organic traffic a website is receiving from the given keyword. -Com: How many advertisers are using this keyword for their paid campaigns. Lower the number lower will be the competition and higher the number- higher will be competition among advertisers. -Results: Number of URLs displayed in search results for a given keyword. A lesser number here is better. -Trend: Shows the volume of searches for this keyword over the last entire year. -SERP source: It will give you a snap of search results for the given keyword. SEMrush has a great SEO audit tool which really helpful for your complete web audit. You can actually perform complete SEO Audit of your website with the help of SEMrush website audit tool. First click on Tools then choose Site Audit and configure your website. Within a few minutes it’ll detect all and pull out a report on issues your website may have with crawlability, broken links, and images, missing tags, coding, duplication and more. All website issues are separated into three groups depending on their severity i.e. errors, warnings, and notices. SEMrush provides prompt customer support by way of updated blogs and tutorials. They also provide personal assistance via phone call (Skype-semrush.phone) and email support. SEMrush customer support team quickly reply to your queries as well as their representatives always helps you regarding SEMrush tool use and guide you through your dashboard. 3. How SEMrush Helps You to Grow Your Online Business? Website building is not just about writing great content and distributing it. It also involves a lot of mechanics and if you want to be one of the top results pages on Google from the millions of rival sites, you have to get technical and be good and regular at it. SEMrush will not only make your competition analysis work lot easier, but also you can improve your organic ranking as well. It provides some great tools like keywords position tracking, entire SEO site audit, etc. The Internet is constantly developing and if you don’t stay on top of the changes that are happening then you will only end up writing for a non-existent audience. SEMrush is a powerful tool that lets you capture, monitor and learn about these various changes in a meaningful manner without needing to waste hours and days. The Pro plan is good for bloggers like you while Guru and Business plan suitable for large-scale enterprises and digital agencies. SEMrush also serves free subscription plan on the basis of limited access, you just need to sign up on their website and gets a free account that allows you to make 10 requests per day. You can upgrade your account at any time. Seogdk readers can get free access for two weeks of PRO SEMrush account......Just Sign Up here.....!!! From this SEMrush review, we conclude that how SEMrush can help you in your online marketing efforts as well as it not only analyze competitors website but also helps to improve your site's search engine rankings. Last but not least SEMrush is vital if you are planning to do anything serious with your blog, particularly in internet marketing. So friends send your valuable feedback to this review post via comments and emails. Till then take care and enjoy your life.....!!! It would be nice if there are more payment options instead of just credit card.